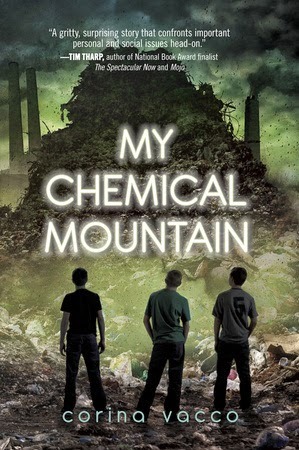 Corina Vacco trespassed on toxic land and wrote the first draft of her debut novel, My Chemical Mountain, while parked in her car at the foot of a radioactive landfill—this book went on to win the Delacorte Prize for a First Young Adult Novel, was a Bank Street Best Book of the Year, and made the shortlist for the 2014 Green Earth Book Award. What a book to wake up to! Armored bears. The North. Flying machines. Children whisked away by gobblers. This book is an imaginative flight, but it’s also deeply layered thematically. It serves up beauty and terror and everything in between. I love waking up to a book that gets my creative juices flowing (and sense of wonder stirring) for the whole rest of the day, so this is a great morning choice for me. This book makes me smile, which is mandatory in the middle of a hectic afternoon. 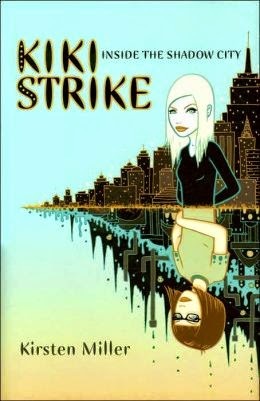 Imagine you walk to a NYC park, climb down a hole, and into a Shadow City, where you meet Kiki Strike and her entertaining crew of Irregulars: Luz Lopes, a genius de mechanique; Oona Wong, a master hacker and forger; DeeDee Morlock, the chemistry genius who specializes in poison; and Luz Lopez, the tinkerer. Now imagine how these young girls might go about investigating (and stopping) a series of robberies while navigating a network of strange tunnels beneath Manhattan, and when I say tunnels, I’m not talking about the subway system. I’m talking about the Shadow City, which is one of the coolest things ever! This book is easy to put down and pick back up again many times in a day, because it’s so engaging and completely unusual, so it’s a great selection for the busiest part of my day, when I’m stealing time to read a chapter on the street car here, a few pages while running to an appointment there. I even read while I’m walking my dog! You know how it is. Before bed, I love a good mystery. This book is a special one for me because it’s set in the San Francisco Bay Area, which is where I used to live not even a year ago, and I’m still homesick for the chilly fog and wild Pacific Ocean. This book was a Newbery Honor book, and the voice, oh man, it pulls you in. It’s set on Alcatraz in 1935, where the protagonist lives on account of his father being employed there. And let me tell you, trouble is brewing. If you want a historical fiction read that packs emotional punch and weaves a gripping mystery, this is a great one. I love falling asleep thinking about it. Visit Corina Vacco's website and Facebook page. The Page 69 Test: My Chemical Mountain.